Could WoW battlegrounds be less frustrating? Soon, Arathi Basin and Warsong Gulch will look different. Remastered versions of these battlegrounds are coming in patch 8.1.5, with updated graphics and an improved look. But what won’t improve is the battleground experience. Instead of adding to our choice of battlegrounds, I think it’s time to reevaluate the whole system to see if it’s working for the majority of players. So what’s wrong with battlegrounds? Let’s take a look. PVP has always had balance issues. In every expansion, PVP character tuning has been problematic. Several classes and specs seem to rise to the top of the damage charts as well as being unkillable. I remember how PVP used to be balanced on the back of PVE. A tweak to a class or spec in PVE meant a huge problem in PVP, and vice versa. PVP-specific talents and gear templates have let Blizzard to balance PVP on its own, but it hasn’t been a cureall for battleground frustrations. Every expansion, Blizzard seems to try to make PVP gearing easier… but it never quite hits the mark. The equalizing of gear so we don’t have to carry an extra set was supposed to help level the playing field. But I don’t think this has been the case at all. If you only do LFR and you queue for a battleground, you can find yourself up against players with health pools that make them almost unkillable. I was recently in Warsong Gulch, and a comment from one of my teammates brought this problem into sharp focus: “How can a warlock have 236,000 health?” The answer is gear. The randomness of groups is also an issue. Certain group makeups slice through their opponents like the proverbial hot knife through butter — others not so much. Some of that’s skill, but some of it is simply because groups don’t have the class balance to succeed. 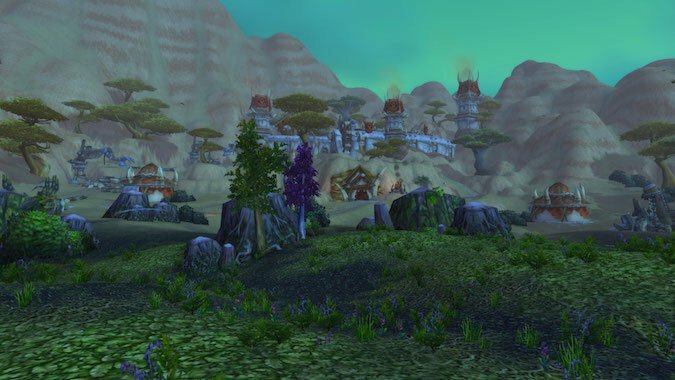 Does anyone defend home bases in Alterac Valley or defend the flag in Warsong Gulch? There was a change to give defenders honor because defense can be just as important as grabbing the objective. If you have no towers in Eye of the Storm, grabbing the flag doesn’t really help. But zerg and cap seems to be the modus operandi in most BGs now, and when one side starts winning they usually keeps winning. That may be fun for the group that’s zerging, but certainly not for the group on the receiving end of a zerg. The resurrection timer’s length is absurd. With every death, I spend 30 seconds standing around in a graveyard — and then more time trying to regroup (or getting killed again trying to regroup). I’ve watched the momentum of a battleground change in 5 seconds, which makes 30 seconds an eternity. It’s not a question of not dying — it’s a question of being able to resume battle in a timely fashion. In my battlegroup, Horde wins 80% of all BGs. That’s not fun. I wouldn’t even mind a Horde advantage of 60-40, but this hugely lopsided win ratio is frustrating, and doesn’t encourage people to play at all. Blizzard wants us to be doing PVP. They keep trying to make it more and more attractive… but they haven’t addressed some of the big problems with battlegrounds. It’s hard to stay invested in battlegrounds when you’re constantly getting steamrolled. I don’t want to be invincible: I just want to know I had a fighting chance. Right now, that’s not always the case — but Blizzard could make some changes that would help. The death timer should be ten seconds, tops. Get me back into the fray. Stop making me cool my heels for 30 seconds. That’s more enough time for momentum to swing. I want to be a part of either the swing or the chance to repel a momentum shift. In the same vein, graveyard camping needs to be outlawed. We need to get back into the thick of things and allowing opposing faction players to constantly kill people rezzing needs to stop. Don’t tell me it’s a strategy: it just keeps people from engaging in battle at all. Gear shouldn’t be the determining factor in a group’s win. PVP is supposed to be about going head-to-head with players using their skills — I want to be beaten because you have better skills not because you were luckier than me with gear drops. Battlegrounds should group you with players of similar ilevel. If this can’t be done within factions, make the groups faction neutral or “timewalk” all gear to a specific ilevel. All battlegrounds need to be reevaluated to see if they actually work with current talents and gear. I suggest they do not. Strategies formed from years of play make no sense now. Alterac Valley could be cut in half and the battleground would work fine since no one defends anymore. 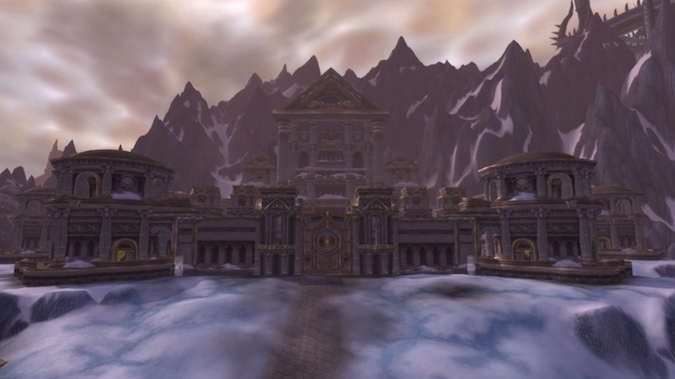 The impending retooling of Wintergrasp has me concerned this beloved battleground isn’t going to work as it used to. Remember the “tissue paper walls”? I fear a return to that era of being unable to maintain control of the fortress because classes and talents aren’t the same as they were when the battleground was designed. Suggestion #3: Groups need a better attitude. Players, this final point is on us. Stop yelling at people and calling them names. 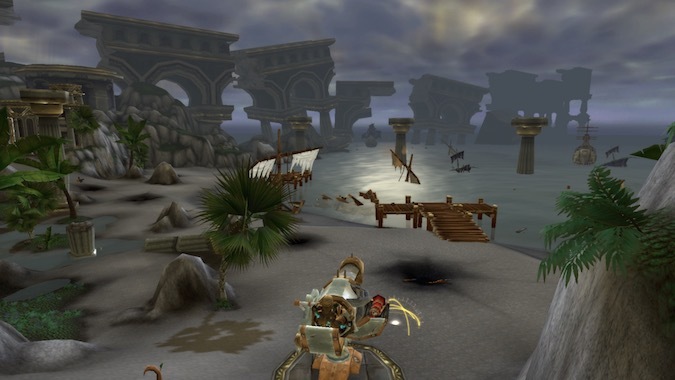 At one point in your WoW career, you didn’t know the objective of Isle of Conquest. We need to explain the goals, do call-outs, ask for help at objectives, and not demean people who are learning. Some days we’re the pigeon and some days we’re the statue, but calling people names doesn’t win games. If you’re getting that frustrated with the battleground, leave. Take a breath and come back. There are pages and pages of discussion in the WoW forums on what is and is not currently working in battlegrounds. I miss having a specific PVP gear set in my bags. I miss the ebb and flow of Tol’Barad. I — pretty much — avoid battlegrounds unless there is a brawl or the weekly quest turns up. They just aren’t fun anymore.